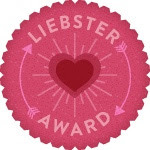 This post is about the Liebster award, thankyou sooo much to Laura from Laura's All Made Up for tagging me! So... what exactly is the Liebster Award?• The Liebster Blog Award is given to upcoming bloggers who have less than 200 followers.• The Meaning; Liebster is German and means sweetest, kindest, nicest, dearest, beloved, lovely, kind, pleasant, valued, cute, endearing, and welcome. The Rules:1. Each person must post 11 things about themselves.2. Answer the questions the tagger has set for you plus create 11 questions for the people you've tagged to answer3. Choose eleven people and link them in your post.4. Go to their page and tell them.5. Remember no tag backs! 1. What is your favourite nail polish and why? Barry M Glitter Nail Paint in Hologram Hexigrams because it can be worn on its own, over something else or with my nail art pens! I started a few months ago because I study Journalism, I like writing and I was reading a lot of beauty blogs and thought I would give it a try! 3. If you could only use one makeup item for the rest of your life what would it be? 4. Do you have any pets? If not what would you like to have? No but when I move out I'm going to get one of those cats with the flat faces and call him Mr Tiddles, this is my plan. 5. How do you style your hair most days? 7. What is your biggest dream in life? 8. Do you have a tattoo? Or what would you have? 9. Who or what is your inspiration? 10. What's your favourite desert? Hi sweetie! would you like to follow each other? let me know!! follow you back :D THANKS! I love the Hologram Hexograms nail polish too. I have loads of Barry M, they're a fab brand. Love Barry M! Such a barg too. haha I was deliberating between Mr Tiddles or Francis, although I have time to decide as I won't be moving out and purchasing a cat for a while yet! Thanks again for nominating me I loved doing that post! 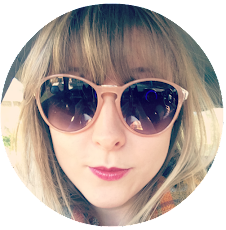 Thank you so much for stopping by my blog and following me!